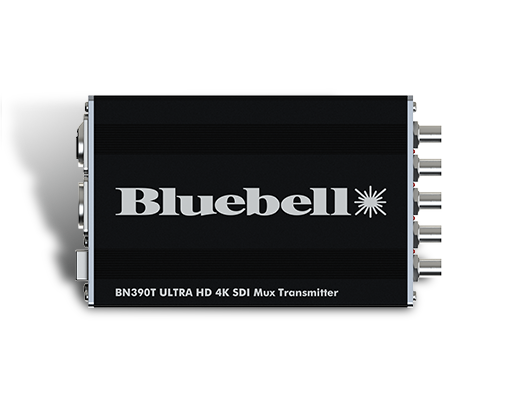 Expanding upon the successful BlueNano range the BN390 is designed for the cost effective transport of 4K UHD signals over fibre. 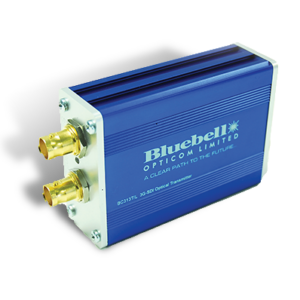 Based around field proven technology the compact units provide the transport of 4 x 3G-SDI signals on a single Wavelength on a Single Fibre. 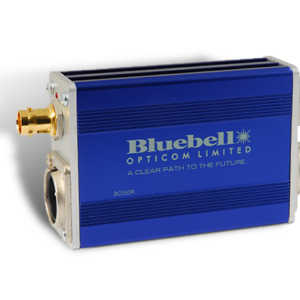 The BN390 also provides a compact conversion unit which allows the outputs from up to four cameras to be transmitted over fibre. 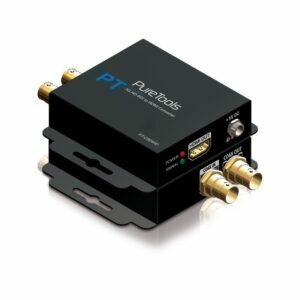 This unit multiplexese 4 x 3G-SDI onto one 12G-SDI Signal with Electrical and Optical Outputs. With an option for ITU Grid CWDM Wavelengths, up to 18 x 12G-SDI channels or indeed 72 x 3G-SDI channels can be transported on a single Singlemode fibre. 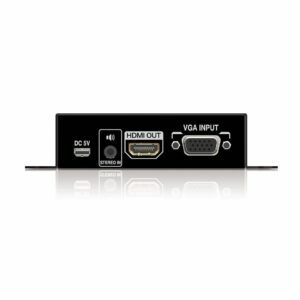 Power is provided via the compact PS12 unit. Each BN390 has a 4 pin XLR allowing power from a variety of external DC sources in the range 4.5 to 17 V.